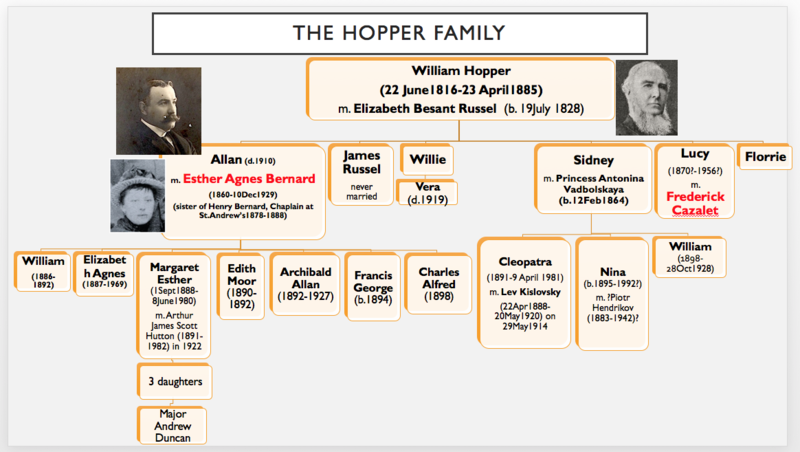 The Hopper Family was one of the pillars of the British community in Moscow in the 19th and early 20th century. Just like the McGills, the first Hopper, William - or Vassily Yakovlevich Gopper, as he was known in Russia - was originally from Scotland. Together with his partner Mr. Wrigley, he opened a machine works in Moscow in 1847. William Hopper always played an important role in the English chapel in Bolshoy Chernyshevsky lane (he died the year the brand new St.Andrew's was consecrated), and one of his sons - Allan - was St.Andrew's warden from 1896 to 1901. Hopper's legacy is a little easier to trace in Moscow, since his factory still exists, and inside it... there is a museum!!! Later the elders of the plant asked the permission to name the plant after Lenin. It was still when Lenin was alive, and it took some time and persuasion. 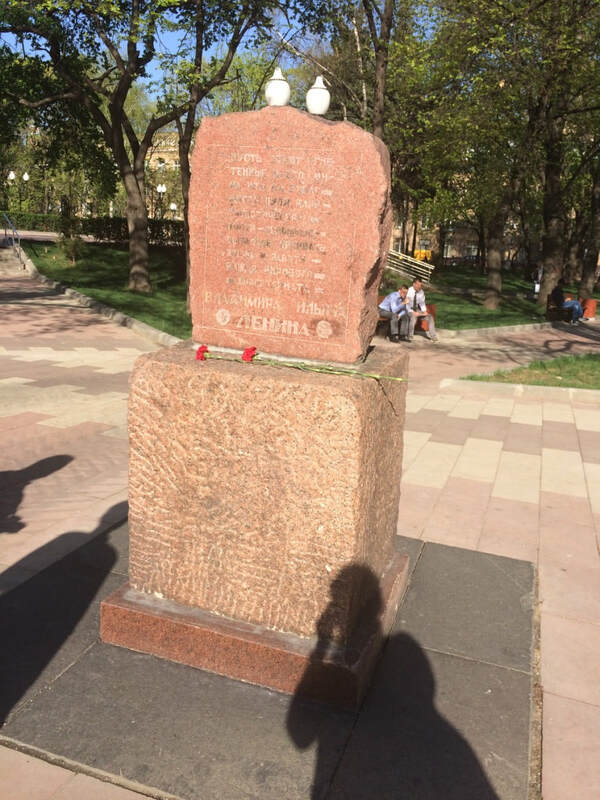 They did not want it to sound too official, though, they wanted it to be more intimate, the way they addressed him in their talks - by his name and patronymic, this is why it is not Lenin plant, it is Vladimir Ilyich plant. The plant was one of the biggest and most important in the Soviet times. During WWII it manufactured ammunition, rockets for Katyushas in particular. Thanks to all that, the plant has a museum. And the museum's exposition begins with the founding 'exploiter and oppressor of the workers': William Hopper! Although, not with his younger years. in 1847, having finished the latter mill, he entered into partnership with Mr. Wrigley and started a foundry in connection with a small weaving mill. 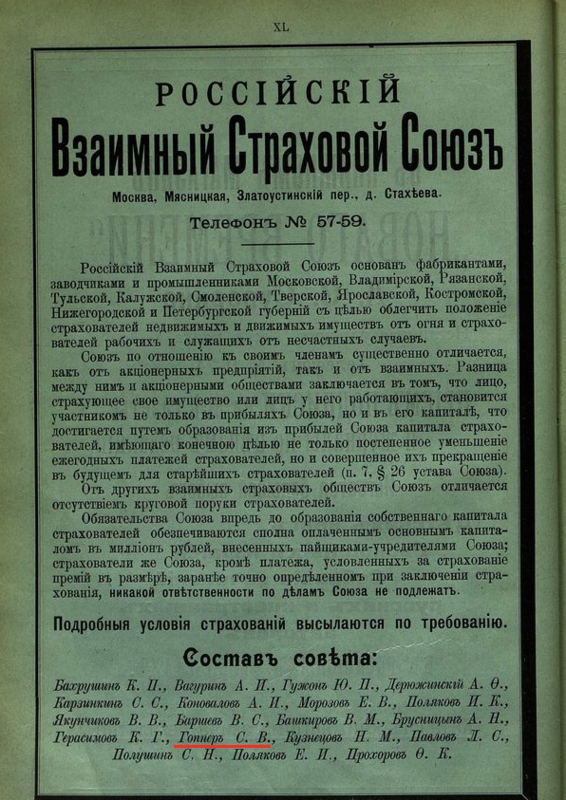 In the museum there is a copy of the cover page of the document from the office of the Chief of Moscow Police which says that On the orders of Moscow Military General-Governor the case of foreigner Wrigley and his partner Hopper on founding an enterprise for preparation of machines was started on June 8, 1847 and closed on July 5, 1847 and contains 5 pages. The other pages were not on the display, but the decision was obviously positive since the enterprise was indeed founded and in September 1847 manufacturing began. 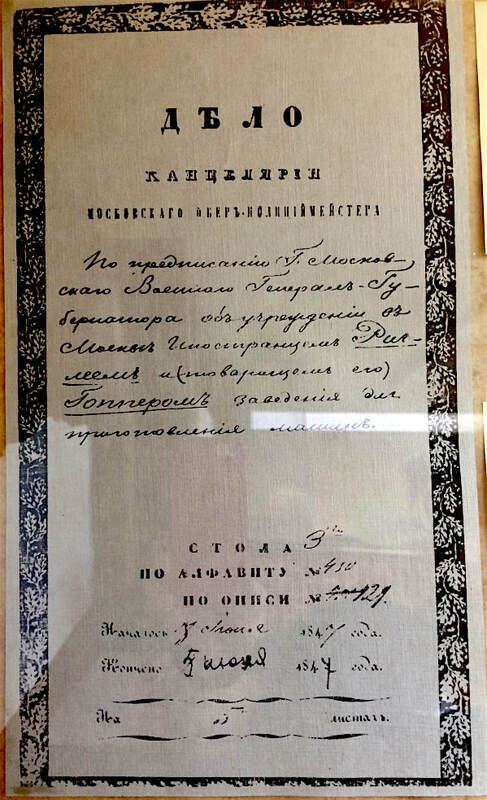 But in the museum there is a copy of the original hand-written document! 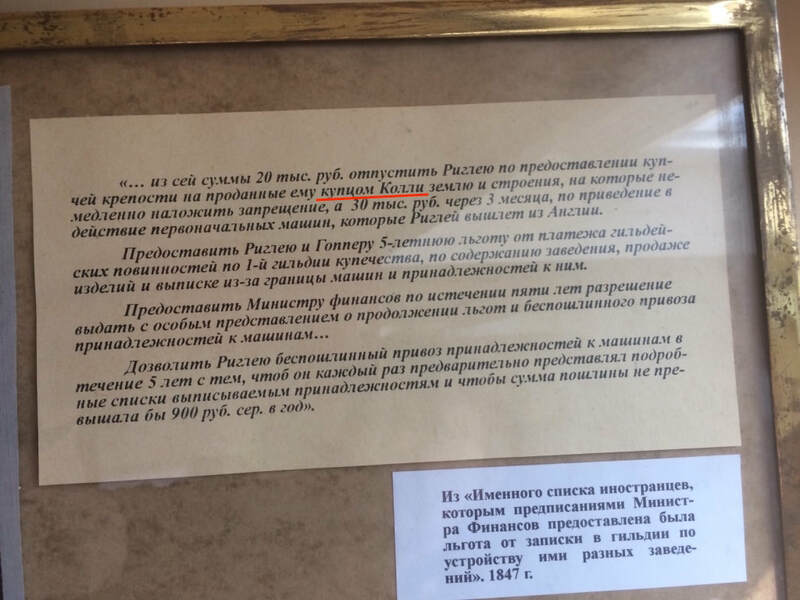 From another document in the museum it is clear that it was a "merchant Colley" who sold the land with the buildings to Wrigley and Hopper to start a foundry - another Scot whose family was so well-known in Moscow (see The Colley Family). In 1867 William Hopper bought Wrigley's share of the enterprise and became the owner of the whole company. 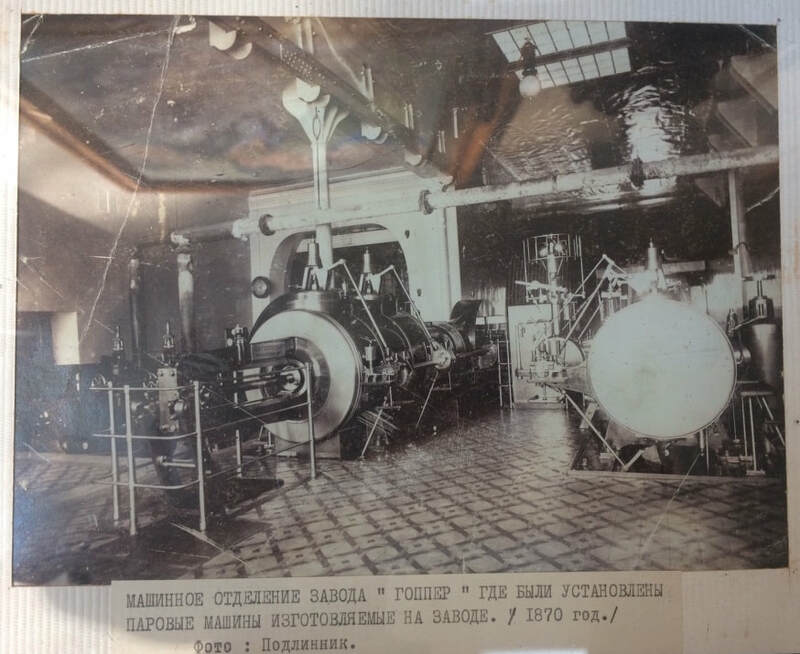 His steam engines were exhibited at Russian and European exhibitions, and even though in the 1860s and 1870s they were not the most powerful ones (600 horsepower, while the most powerful ones, 800 and 1200 horsepower, were produced by the Bromley brothers in Moscow (originally from Hannover) and at Putilovo plant in St Petersburg, which was founded in the early 1800s by three Scots), they were very high quality. In 1896, 11 years after William Hopper's death, the company was represented at the famous Nizhny Novgorod Exhibition by his sons, but in the Exhibition Album we still see his own portrait, as the company still bears his name: Vassily Yakovlevich Gopper & Co. By this time (in 1886) the plant had acquired an additional location at Orekhovo, not far from Moscow. After William Hopper's death his company was inherited by his widow Elizabeth (Elizaveta Ivanovna) and his four sons: Allan, James Russel, Willie and Sydney. The factory continued to belong to the Hoppers until 1916 when they sold it to a Russian lawyer L.A. Michelson. In some sources I see one more name - Timothy (Timofey Vassilievich), and it is difficult to figure out whether this is his fifth son (which is unlikely), or his grandson, Willie's son. 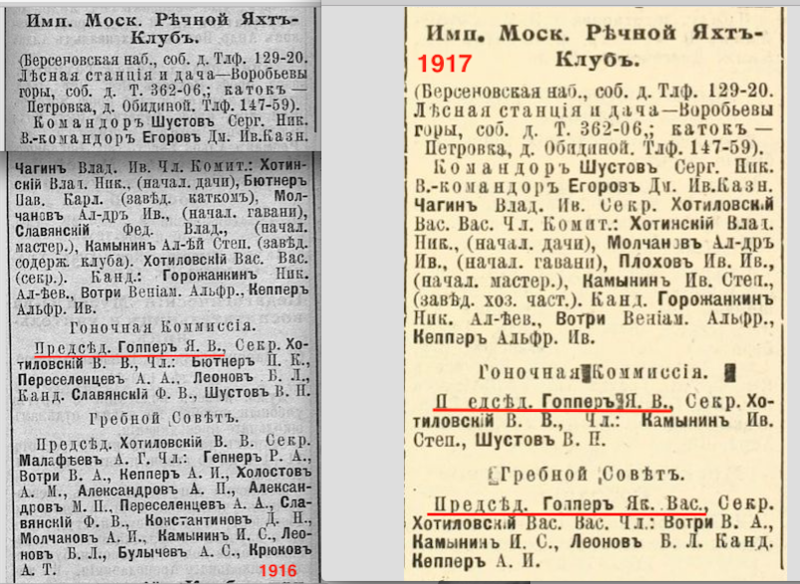 The first mentioning of Timothy in Moscow Address books dates back to 1913, the last one - to 1923, both years he lived outside of the family main property, far away from the factory. 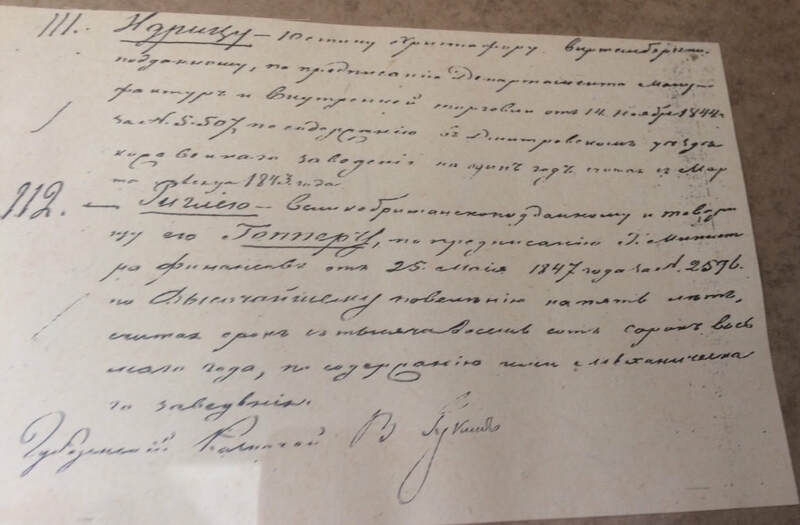 In the factory museum I found excerpts from the memoirs of Evgeny Vasssilievich Yarunin, Senior engineer-designer of the factory (during the Soviet times), who was Chief mechanic of the factory when it belonged to the Hopper family. 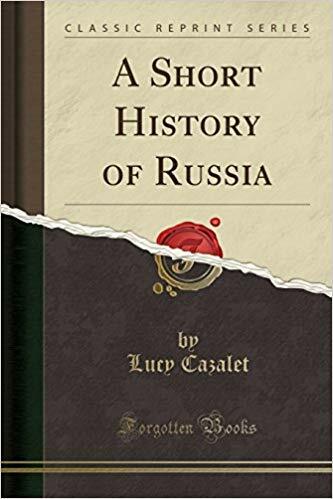 He wrote his memoirs in 1947 at the age of 64, and although he is complaining of his fading memory, many of the facts that he mentions I was able to trace to other original sources, while his general descriptions provide a fascinating historic first-hand view. Evgeny Yarunin started working for Hopper & Co in April 1905, when the factory belonged to the four Hopper brothers: James, Willie, Allan and Sydney. It is interesting that out of the 3 saints that Evgeny Yarunin mentions, St.Andrew is a patron saint of both Scotland and Russia, St. George is a patron saint of both England and Moscow, and St. Nicholas is a patron saint of Moscow, Russia and Aberdeen. Allan Hopper mentioned by Evgeny Yarunin in this religious context, was St.Andrew's church warden from 1896 to 1901. 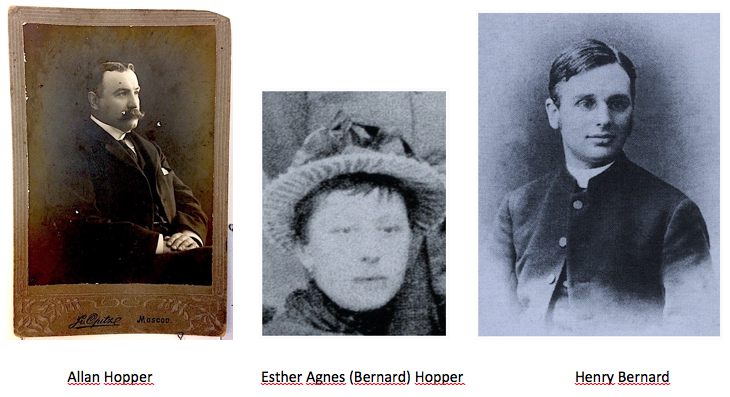 He was married to Esther Agnes Bernard, whose brother Henry Bernard was St.Andrew's chaplain from 1878 to 1888. Henry Bernard was married to Maida Mirrielees, daughter of Archibald Mirrielees, founder of the famous department store in Moscow Muir & Mirrielees Co.
By 1907 the family had acquired a residence in England - 'The Caen', The Common, Ashtead (later called 'Lavendon', the first house on the corner of Ashtead Woods Road with an acre of which part became The Ridings development along Links Road). Reportedly, Allan Hopper took his own life during 1910* and for the 1911 Census Margaret is found with her Mother enumerated at Gwynne House, 11 West Street, Epsom. It is interesting that Evgeny Yarunin should mention John Musgrave's factory. John Musgrave & Sons happened to be located in Bolton, a place that had a solid connection with the Moscow British industrialists. The only other thing that I can add about James Russel Hopper is that in 1888, together with his brother WiIlie, he was a member of the technical committee of the Moscow River Yacht Club (first located at Dacha Students, and later at Dacha in Vorobyovy Gory), and in 1908 - its Vice-Commodore (=vice-president). In 1916 James Russel Hopper was the chairman of the Yacht Club's Racing Commission, and in 1917 - the chairman of both, its Racing Commission and Rowing Council. Another interesting thing worth mentioning here is that for many years (at least from 1898 to 1916) Willie Hopper was a member of the Committee on Maintenance and Care for the Non-Orthodox cemetery. The Russian princess that Sydney Hopper was married to was Antonina Mikhailovna Vadbolskaya (b.12 Feb 1864), a descendant of a very old and noble Russian family. According to this site, they had three children: Cleopatra Kislovskaya (1891-9 April 1981), Nina Hendrikova (b.1895) and Vassily (1898-1928). 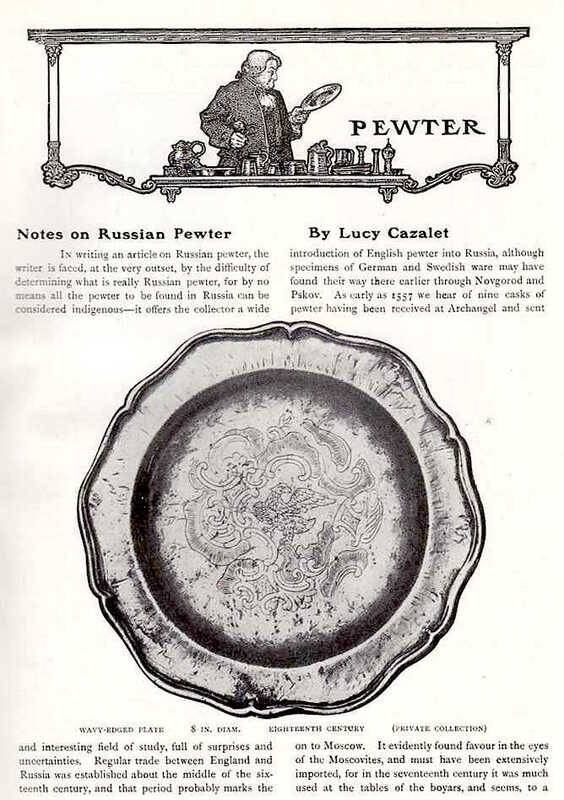 On the British Museum site one can find a picture of a Russian apron with the information on the donor. The donor - Maggie Cook - is listed as a great granddaughter of the original owner of the collection (besides the apron there are 7 other items which are not on the site) - Lucy Hopper Cazalet. And it is on this site that we find information about the second Hopper sister - Florence. Florence Hopper, also referred to in different sources as Flo or Florrie, was 8 years older than Lucy, and the textile collection from the British Museum supposedly had belonged to her.